The month of April is IBS awareness month (irritable bowel syndrome) and helps to raise the profile of this, often, debilitating condition. IBS is recognised as affecting between 9% and 23% of the worlds population, and these are only the figures of those who have been diagnosed with the disorder. Many people remain undiagnosed so I am hoping that raising the awareness of Irritable bowel syndrome will help more people to seek help, and although there is no cure for IBS, it can be managed with both medication and through the use of hypnosis. The International Foundation for Functional Gastrointestinal Disorders (IFFGD) designated April as IBS awareness month back in 1977 and it has remained ever since. There is no real cause for IBS and some say that it develops through stressful situations and then becomes a long term condition of gastrointestinal functioning. Normally it affects the large part of the bowel (Colon) and some of the small intestine. The disfunction can create a number of unpleasant symptoms due to the disturbances in the motor function, the physical sensations and the secretions within the bowel itself. Approx 1 in 5 people in the UK suffer from the main symptom of IBS indicated above, which is a staggering figure (provided by BMI healthcare). IBS should be diagnosed by your doctor and they will normally conduct tests to rule out other diseases. Because this condition can really affect your way of life, it is important to take steps to manage it. You can take anti-spasmonal tablets to help with the cramping. If stressful situations trigger your IBS then it s important to bring into effect any strategies to reduce this stress and a lot of sufferers find relaxation techniques to be very beneficial. Changes in lifestyle may also help with the symptoms such as reducing alcohol intake and cutting down on spicy or fatty foods and coffee. 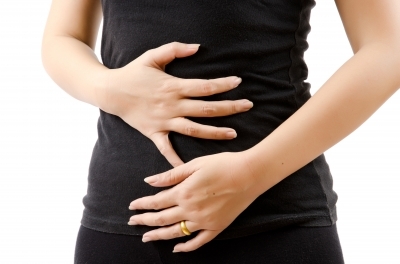 Some people benefit from taking probiotic drinks to maintain a healthier gut. Hypnotherapy has also been proven to be effective in managing the disorder and at my clinic in Warrington, I help IBS sufferers to cope with the stress and the pain and teach self-hypnosis so they can utilise this tool in their own time as and when they need it. If you suffer from IBS and would like to begin to manage the symptoms then why not take back that control today.